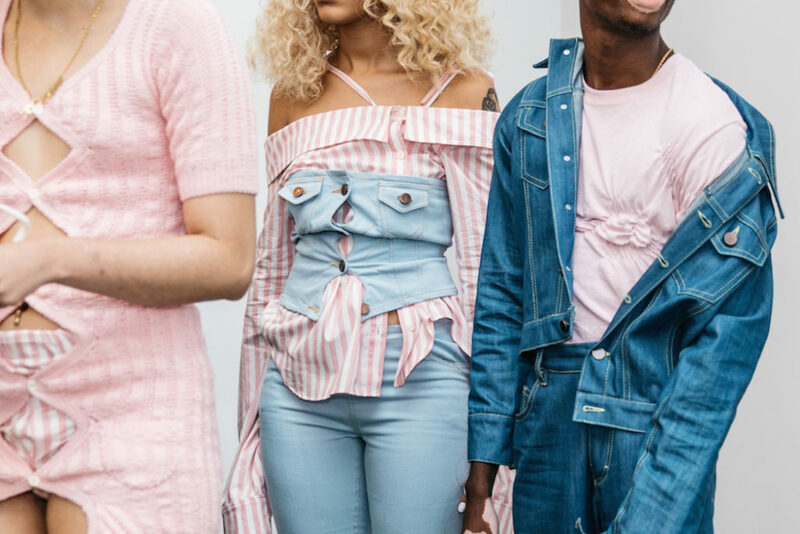 YOUNG + FABULOUS creators HARDEMAN blast us with a beat of hip for spring 2019 during NYFW. Sweet like candy streetwear vibes with a pop of 70’s. 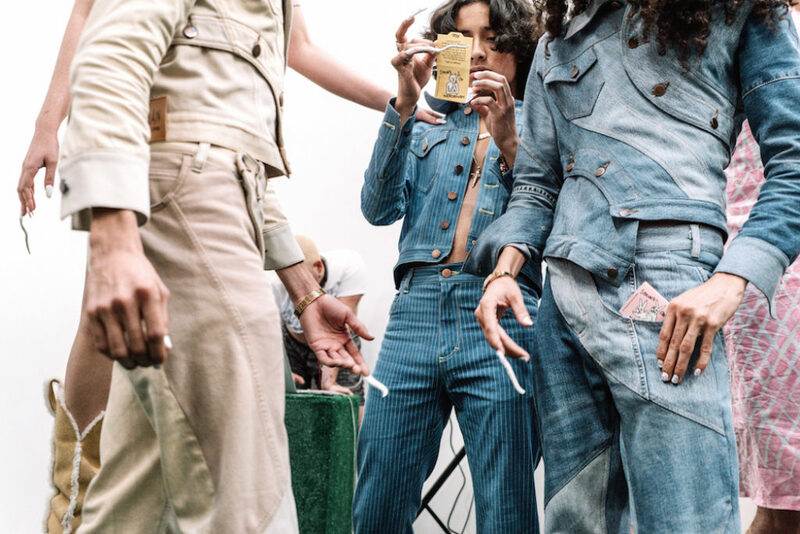 Behind the scenes vibes take you from the 70’s show to a pink striped fest. Wild hair + curls on view with the Bailey twins all with dolled up faces with messages. DENIM gone happy; fun is the new fashion. 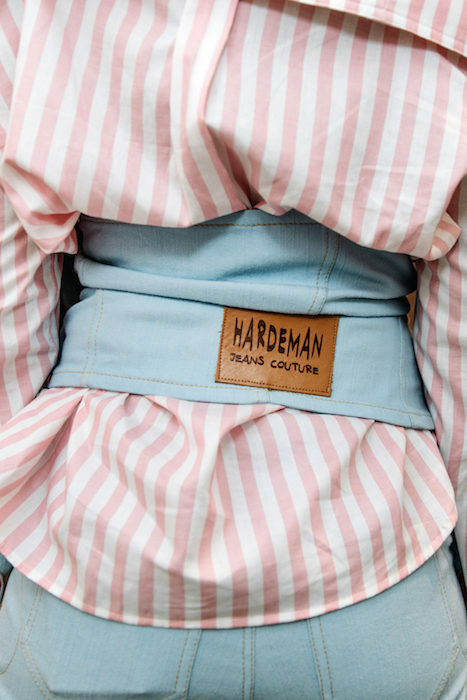 here’s the cute: young designer HARDEMAN SS19 NYFW. 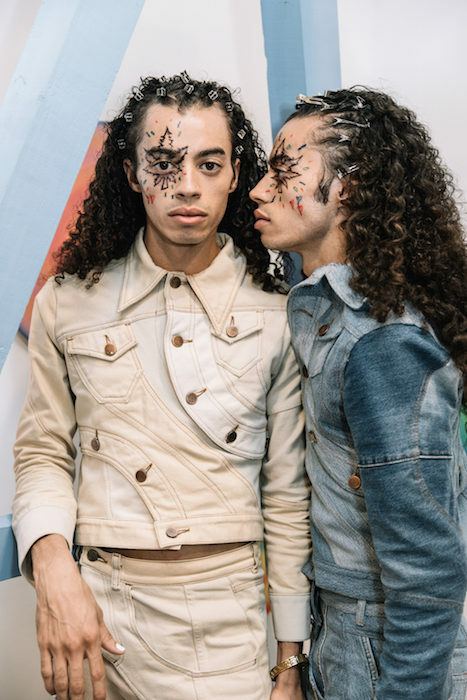 young designer HARDEMAN SS19 NYFW.